Use Task Cards and Game Boards to Increase Engagement and Learning! Become a cooperative learning tool. Encourage math talk and a positive learning community. Allow you and your students to create your own questions. Yes! 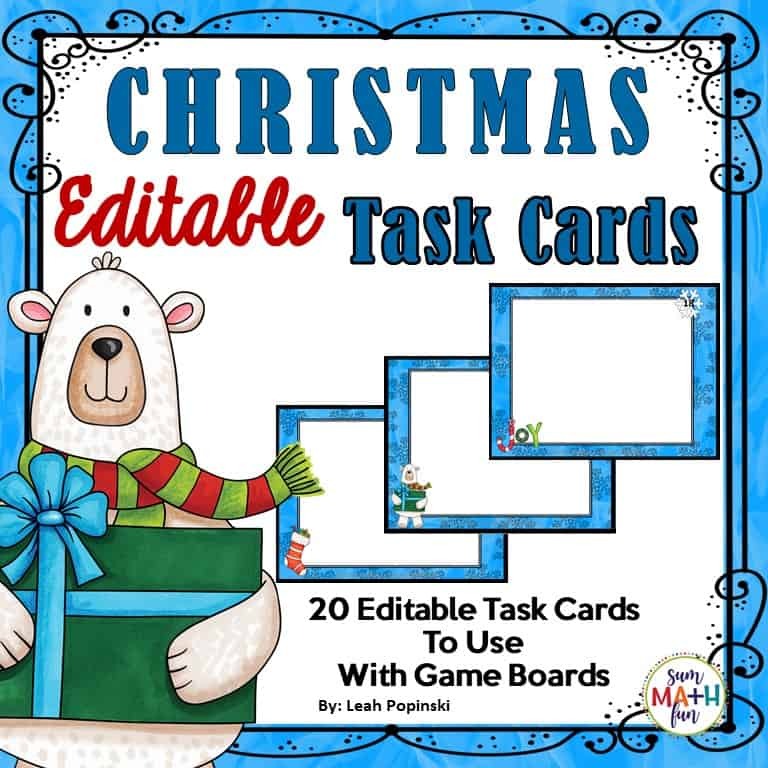 Send my Free Christmas Editable Task Cards. Yes! Send My Free Editable Task Cards.